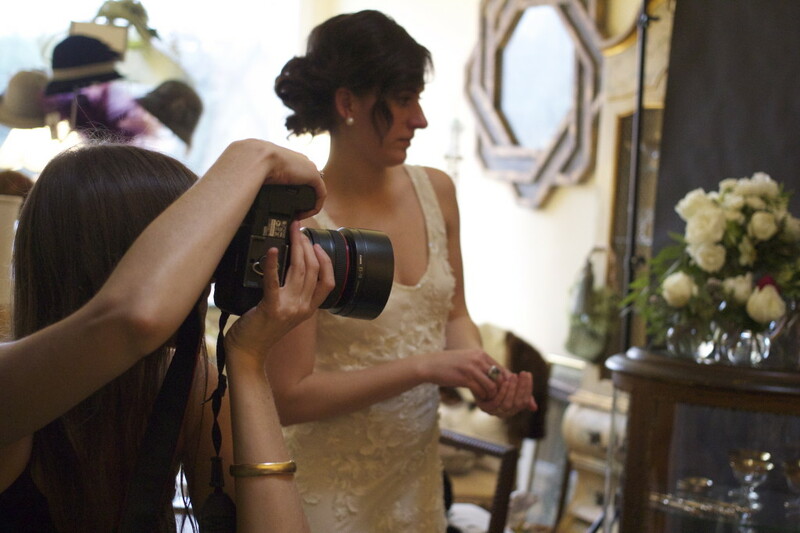 A few months back I had the opportunity to go behind the scenes to capture the talented photographer, Kristen Finn, in action while she shot our good friends Meggie Galvan and Catherine Damewood of Catherine G. Damewood Purveyors of Fine Florals and Design. 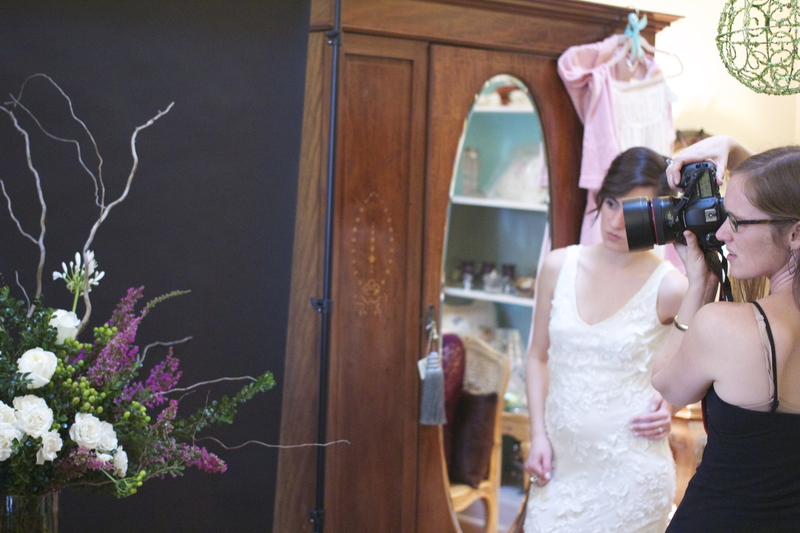 It was a rainy day in Middleburg, but it was all smiles inside the lovely boutique Patina, where the shoot took place. 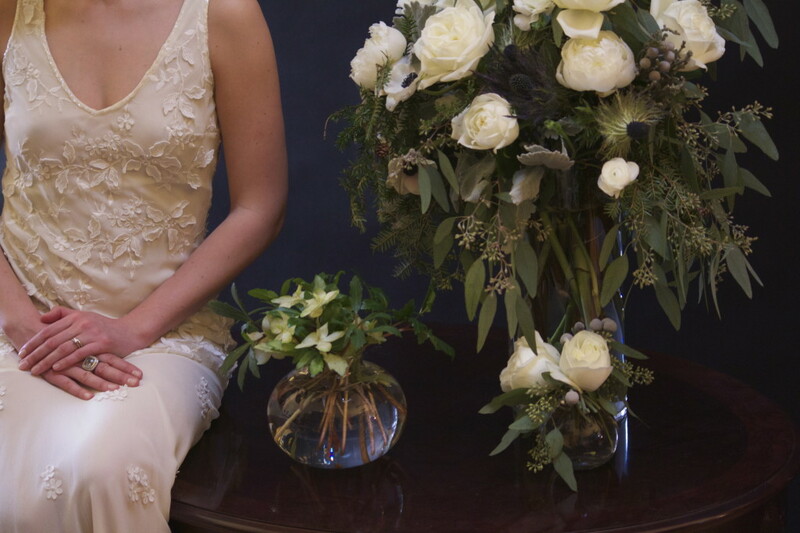 The gorgeous antiques on display provided the perfect setting to showcase the original floral arrangements by Meggie and Catherine. 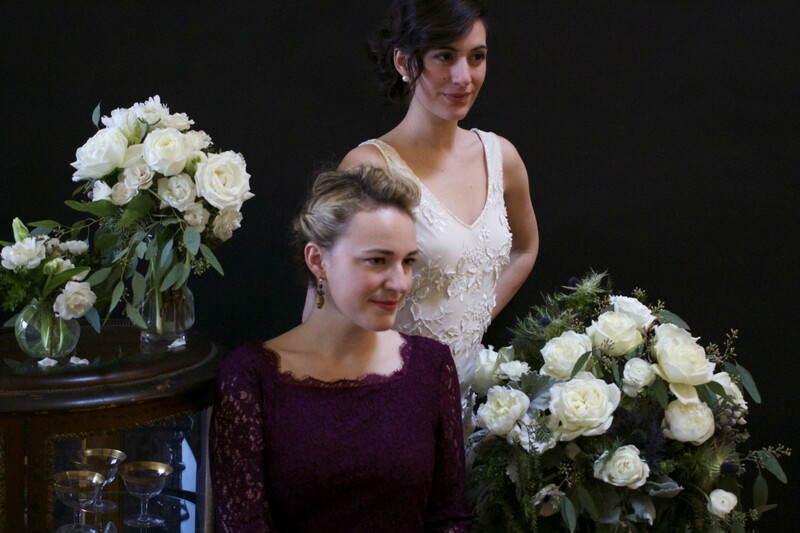 These sisters are truly talented and have become increasingly busy since launching their business in late 2013. 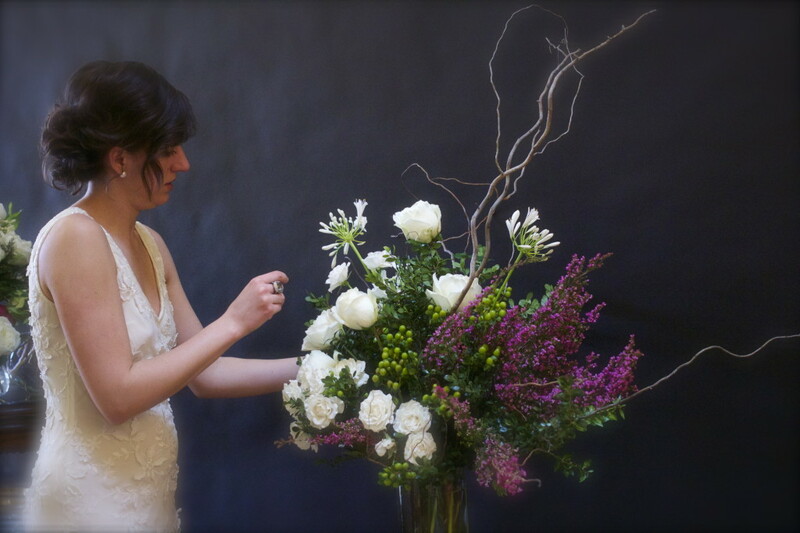 The Purveryors are based out of Loudoun County, VA and have been creating quite a buzz with their unique floral arrangements that can be seen at some of the most exclusive weddings, events and parties in Northern Virginia. 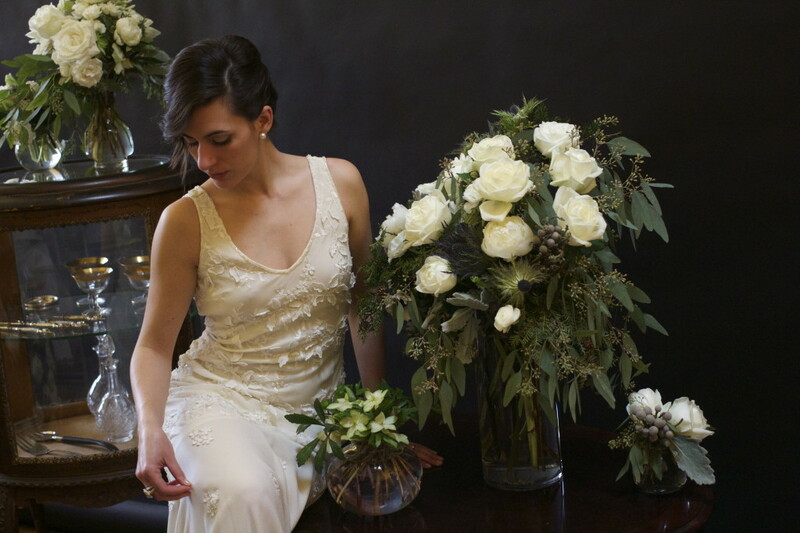 Now that they have taken the floral industry by storm, the sisters’ next phase will be offering high-end vintage rentals to their clients in 2014 and that’s something we are very excited about at 52 Thursdays. Keep an eye out for these ladies and their work at a party near you. 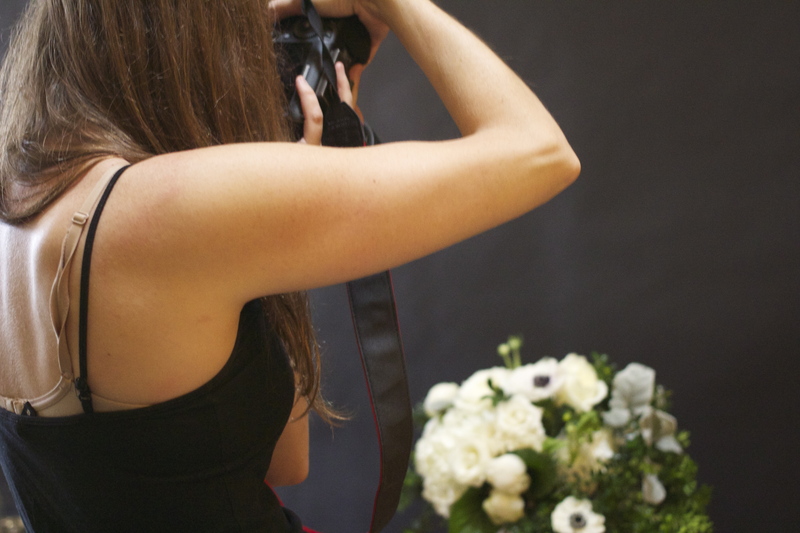 After working for a local florist for 9 years, Catherine decided to start a new venture with her sister Meggie. Meggie was extremely excited to join her sister after having a career as a commercial interior designer and then later in commercial furniture sales. She decided to leave the hustle and bustle around D.C for a more tranquil life in Loudoun County. 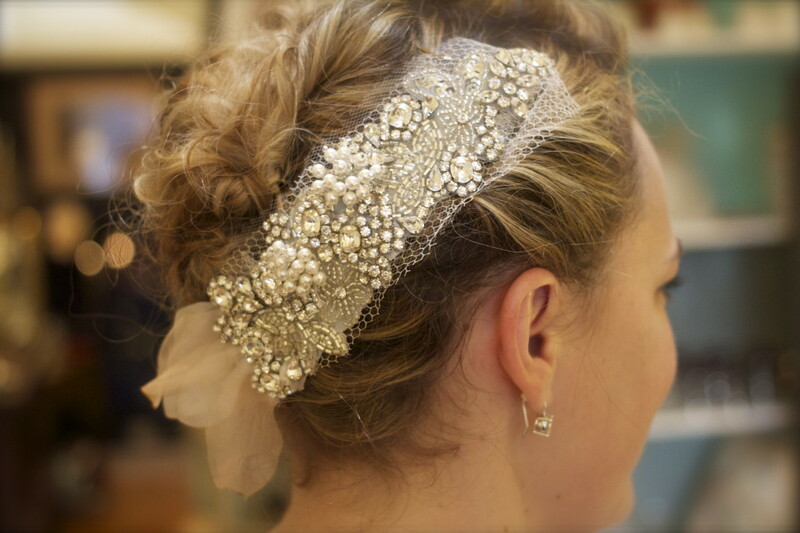 Together they have the knowledge and expertise to create beautiful designs for their ever-growing client list. 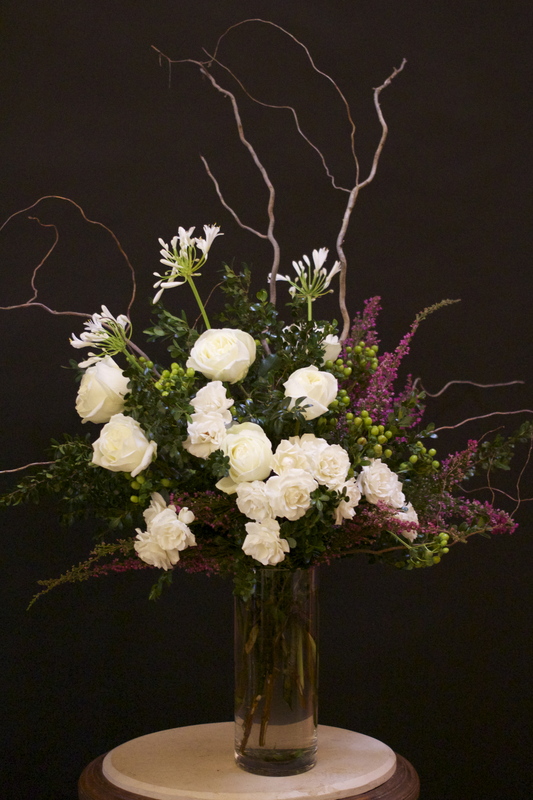 Pictured here are polo roses mixed with majolica spray roses, white parrot tulips, silver brunia, seeded eucalyptus, dusty miller and galax. 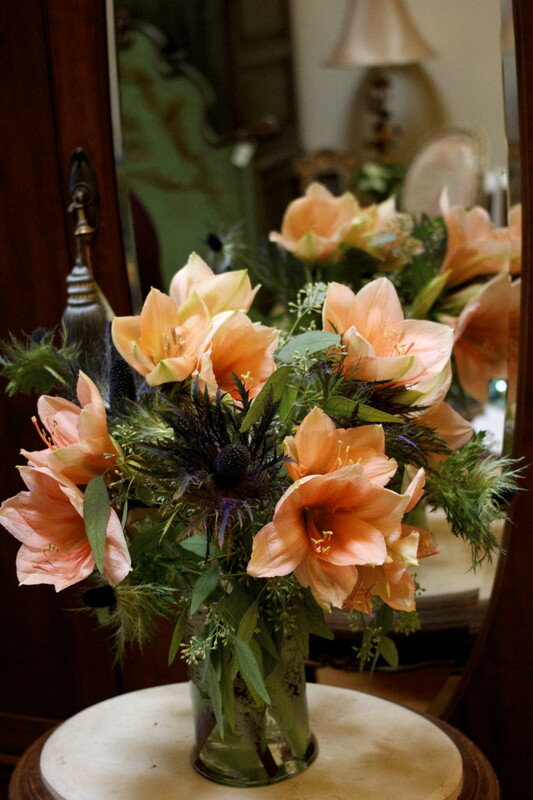 Love this colorful bouquet of peach amaryllis, jackpot thistle and seeded eucalyptus. 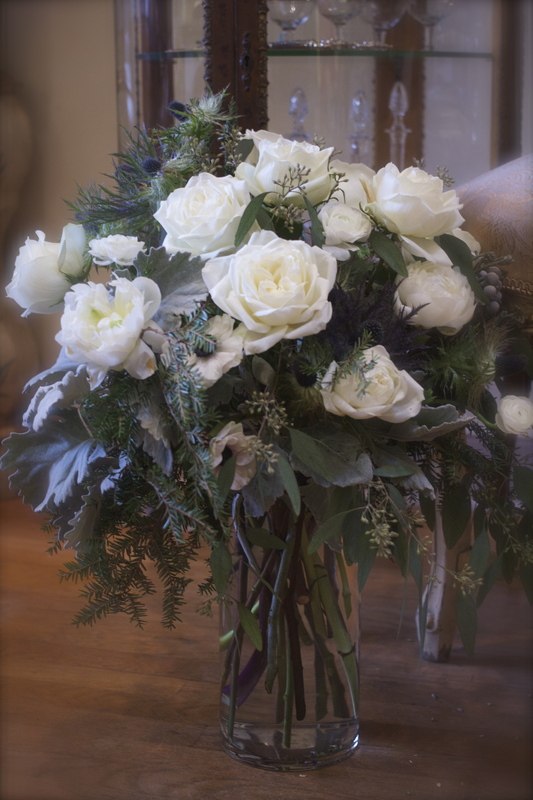 This arrangement was put together with curly willow, white agapanthus, a mixture of polo roses and majolica spray roses, heather, green hypericum berries and boxwood. 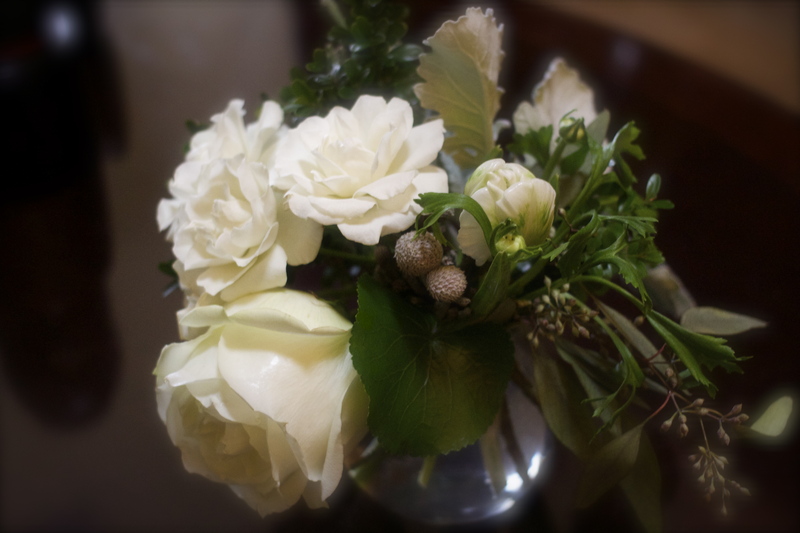 Featured here is a bouquet of white peonies, polo roses, anemones, white ranunculus, seeded eucalyptus, hemlock and jackpot thistle. Meggie and Catherine’s gorgeous up-dos were done by our favorite hair stylist, Ashely Duru, of Salon Emage located in Warrenton, VA.
Sarah! Great post! Thank you so much for helping us get off to a great start with the business! I am always so excited to read your blog. I’ve learned so many cool things and now I feel super lucky to be a part of what you are doing.